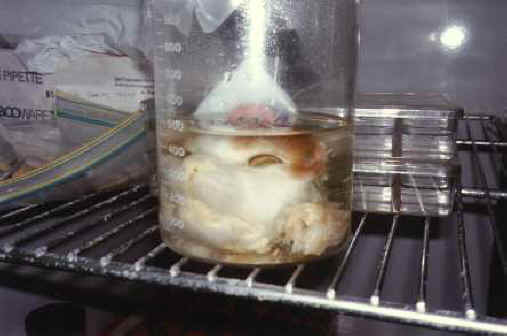 (Cat - Research - 01) This is the head of a vivisected cat preserved in formaldehyde by the very vivisector who had experimented on her vocal chords (Boys Town Hospital, USA, 1996). Photo given by P.E.T.A. 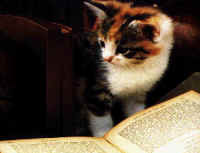 Most likely this cat began his or her life as a companion, but later ended up in a pound, and was then sold to this research facility.